For the past 50 years, the Smithsonian's National Portrait Gallery in Washington has been telling America's story with images of people who helped shape the history and culture of the United States. It recently added 28 pictures. 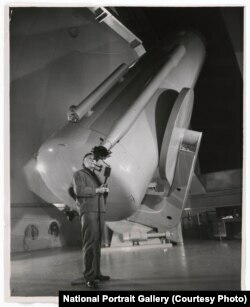 Often lauded as the father of modern cosmology, Edwin Hubble made several significant discoveries that changed how scientists viewed the universe. There’s a photo of beloved children's book author and illustrator Maurice Sendak, best known for his book "Where the Wild Things Are," first issued in 1963. 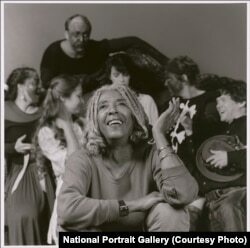 Ellen Stewart’s La MaMa Experimental Theater Club was a multicultural hive of avant-garde drama and performance art in New York for almost half a century. 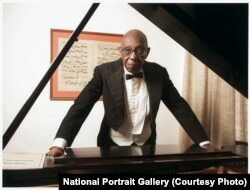 In 1996, George Walker became the first African-American to win the Pulitzer Prize for Music. 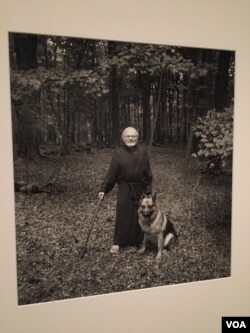 Other subjects in the exhibit include author and political activist Helen Keller, who was the first deaf and blind person to earn a bachelor's degree, actress Phylicia Rashad and American businessman Julius Fleischmann. 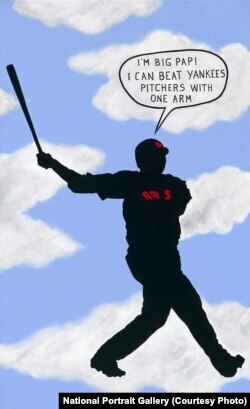 David Ortiz, known as “Big Papi,” was one of the most intimidating hitters in Major League Baseball.